BOSTON, Mass. – The Eastern Association of Rowing Colleges (EARC) announced the recipients of the league’s postseason awards. 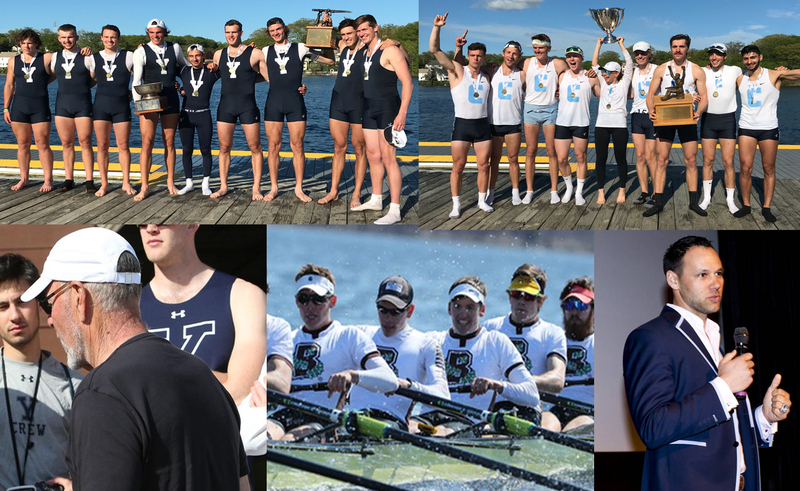 Steve Gladstone and Yale’s Varsity Eight were named Heavyweight Coach and Crew of the Year respectively while, Nich Lee Parker and Columbia’s Varsity Eight swept the lightweight honors. Brown University’s Varsity Eight earned the Rusty Callow Award. The awards were voted on by the EARC coaching contingency. Yale’s Varsity Eight captured heavyweight crew of the year honors after racing to a first-place finish at Sprints and defeating rival, Harvard University, by over four seconds. The victory marked the fourth consecutive first-place finish in the heavyweight eight for the Eli, a feat that hasn’t been accomplished in 41 years. The Crimson were the last team to earn the four-peat from 1974-1977. Gladstone was named EARC Men’s heavyweight coach of the year after leading Yale to an impressive performance at Sprints. The team earned the Rowe Cup, awarded to the best overall performances across the varsity eight, second varsity eight and third varsity eight events. This was the second-straight Rowe Cup for Yale. On the lightweight side, Columbia’s Varsity Eight was named lightweight crew of the year after their gold medal performance. The first-place finish in the varsity eight was the second in program history, with the last coming 18 years ago. The Lions posted a time of 6:08:060 in the grand final to best Princeton University by nearly three seconds. “The varsity eight represents the pinnacle of what our whole team can achieve. This year, everyone hustled day in and day out to get better,” exclaimed head coach Nich Lee Parker. “They learned how to make the best of themselves and that culture helped guide this crew to the top. It’s great to see them being honored for their dedication." Parker, was recognized as lightweight coach of the year by his peers after guiding the program to their first-ever Jope Cup. The Jope Cup is awarded to the program that combines for the best overall finishes in the varsity eight, second varsity eight and third varsity eight categories. The second varsity eight also earned gold, while the third varsity eight finished fifth overall. Brown’s Varsity Eight earned the Rusty Callow Award after their impressive spring season. The Bears only lost once in cup racing heading into Sprints and captured bronze in a tightly contested grand final. The Rusty Callow Award is presented each year by the EARC to the crew that, in the previous year, best personified the virtues of “spirit, courage and unity.” Awarded annually since 1963, the winner of the award is determined by a vote of the head coaches of the EARC. Rusty Callow was a legendary rowing coach, whose career spanned the first half of the 20th century. Rusty coached for many years at Washington, the University of Pennsylvania, and Navy. Among his many accomplishments, Callow coached the 1952 Navy crew to an Olympic gold medal.